Markets in Asia open following news over the weekend Saudi Arabia's potential oil export cut in December. The oil market is also expected to watch for OPEC's monthly report, which will be released this week, for further price cues. The report will be released after the OPEC-led coalition is reported to be inching closer to agreeing on production cuts for 2019. In Singapore, ASEAN leaders are joined by representatives from China, the US, Japan and Russia to discuss key trade issues at the 33rd ASEAN Summit. This will be followed by the APEC Economic Leaders' meeting later in the week in Papua New Guinea. The meetings are being conducted against the backdrop of an ongoing trade dispute between the US and China, which has disrupted supply chains across Asia Pacific and threatened to impact commodities demand and trade flows. But one highly anticipated topic is the ASEAN-led Regional Comprehensive Economic Partnership trade agreement, which could help offset the impact of trade disputes. Meanwhile, the bunker market is also keeping an eye on Singapore as the city state is expected to release its marine fuel sales data on November 13. Singapore hit a record of over 50 million mt in bunker fuel sales in 2017, and markets are watching if it can hit another record this year. 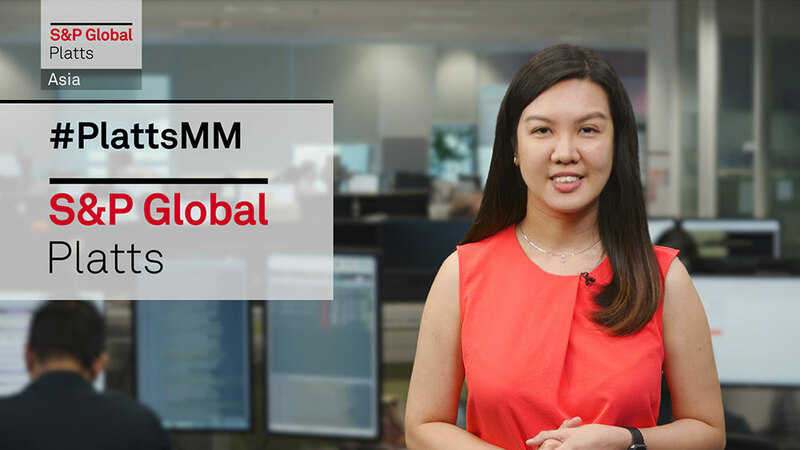 The highlights this week: ASEAN summit takes centerstage in Singapore, LNG market looks for signs of a winter price rebound, and dry bulk freight rates under pressure. But first, the oil market is digesting news over the weekend about Saudi Arabia's potential oil export cut in December. Saudi energy minister Khalid al-Falih said the recent slide in oil prices was a result of trader overreaction and not an indication of an oversupplied market. Still the market is expected to keep a close eye on OPEC's monthly report out this week for further price cues. Economic leaders from Southeast Asian countries are in Singapore along with representatives from China, the US, Japan and Russia to discuss key trade issues at the ASEAN Summit. This will be followed by the APEC Economic Leaders' meeting later in the week in Papua New Guinea. The meetings are being conducted against the backdrop of an ongoing trade dispute between the US and China, which has disrupted supply chains across Asia Pacific and threatened to impact commodities demand and trade flows. But one highly anticipated topic is the ASEAN-led Regional Comprehensive Economic Partnership trade agreement, which could help offset the impact of trade disputes. Still in Singapore, the bunker market will be closely watching the city state's October marine fuel sales report due on November 13. Singapore's bunker fuel sales from January to September hit 37.5 million mt, down 1.5% from last year's volumes. With less than two months to go before 2018 closes, can Singapore breach the 50 million mt figure for its bunker sales again? Share your thoughts on Twitter with hashtag PlattsMM. Moving on to LNG, one of the world's largest and most complex gas projects – the INPEX-operated Ichthys LNG in Australia – officially opens this week. The project has already started operations with its first shipment of LNG and condensate in recent weeks. In the spot market, LNG market participants are keeping an eye on emerging, opportunistic demand from Northeast Asia where end-users appear keen on capitalizing on lower spot prices. Enquiries from buyers in Japan and South Korea could signal optimism that the market is poised for a winter price rebound. Speaking of winter, the heating season in the northern hemisphere is starting in a few weeks, and power plants in China are likely to return to the thermal coal spot market for December cargoes. Market sources expect prices of Chinese domestic spot cargoes to remain range-bound, keeping a lid on import prices. Meanwhile, Southeast Asian countries such as Vietnam and Thailand are producing sporadic demand for thermal coal imports, while ongoing port restrictions continue to dampen China's demand for seaborne coal. That's it for this week. Thanks for kicking off your Monday with us, and have a great week ahead.